Viknesh Vijayenthiran February 22, 2018 Comment Now! 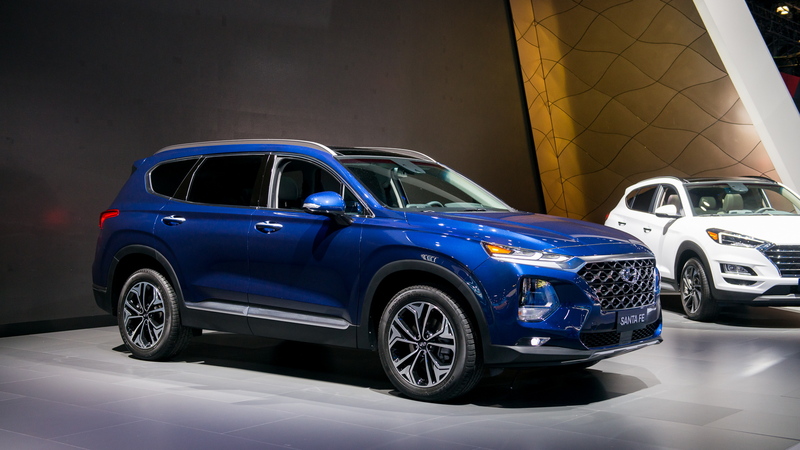 Hyundai on Thursday released full details and photos on its redesigned Santa Fe ahead of the sales launch this summer. The SUV, whose formal debut will take place on March 6 at the 2018 Geneva International Motor Show, will arrive as a 2019 model. 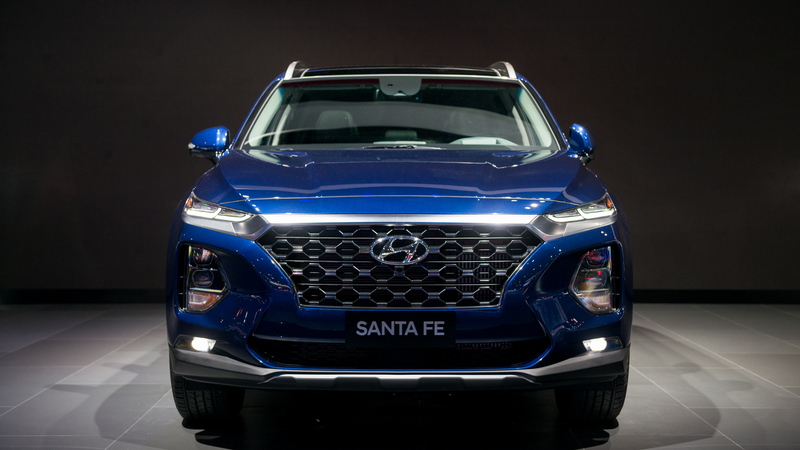 It represents the fourth generation of the Santa Fe nameplate and this time around Hyundai is calling the 2-row version a Santa Fe instead of a Santa Fe Sport. The 3-row version, previously the Santa Fe, is now called the Santa Fe XL. 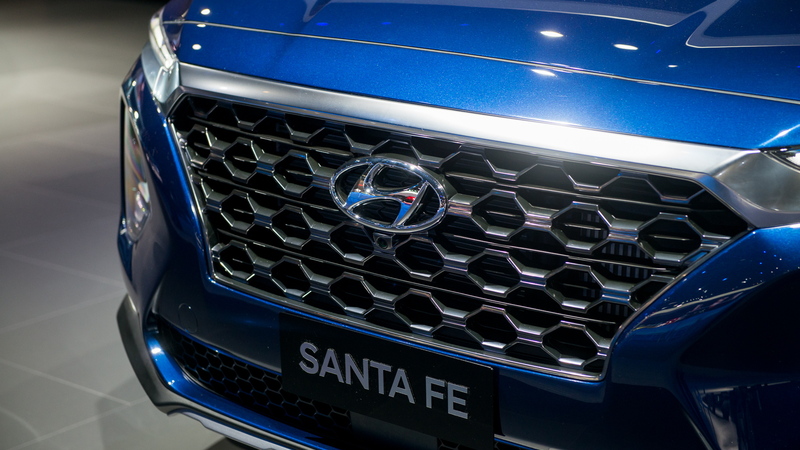 Note, Hyundai is developing an even bigger SUV to slot in above the Santa Fe XL. This will be a full-size model with three rows and eight seats. It will likely be twinned with a new full-size SUV from Kia based on 2016's Telluride concept. But getting back to the Santa Fe, the SUV brings a handsome design that's almost Audi-like in its execution. 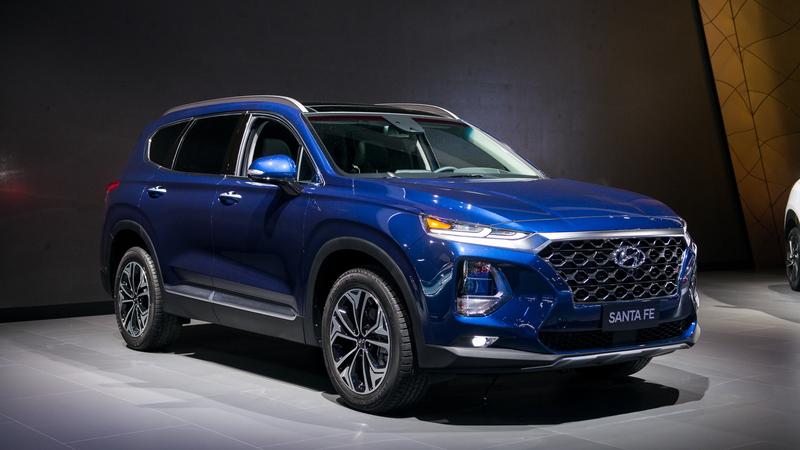 It's also evolutionary, though there are some key differences between the design of this new Santa Fe and that of its predecessor. 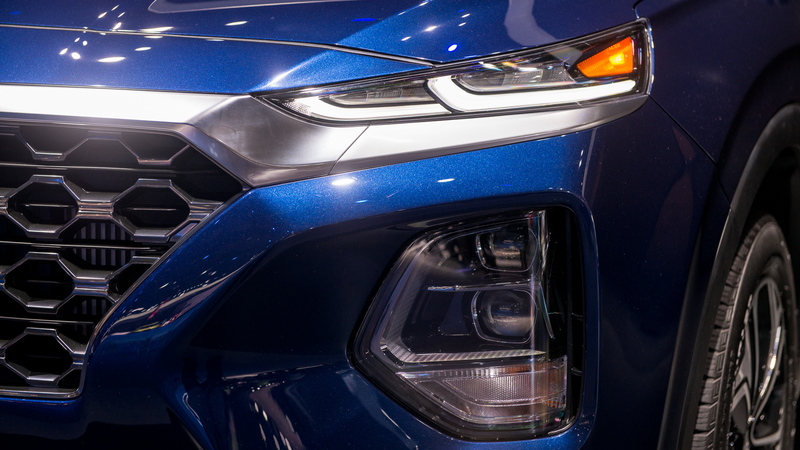 There's no missing Hyundai's Cascading grille up front, and you're sure to notice the headlights feature a split design. This is the new look for Hyundai's SUVs and we've already been given a taste with the Kona subcompact. Moving inside, space is up and the stitched leather surfaces provide a premium look. A 7.0-inch infotainment screen is fitted as standard and includes Android Auto and Apple CarPlay smartphone integration. And to eliminate the need for a charging cord, there’s an available Qi wireless charging pad. Buyers have access to a full suite of electronic driver aids. These include handful features such as automatic emergency braking and blind spot and rear cross traffic warnings. There's also a feature that temporarily prevents doors from being opened when a moving object such as another vehicle or bike approaches from behind. Another is a feature that warns the driver if he or she has forgotten an occupant in the rear seat. Buyers also have some decent powertrains to choose from, one of which is a diesel. The standard powertrain is a 185-horsepower 2.4-liter inline-4. Those seeking more performance can opt for a 232-hp 2.0-liter turbocharged inline-4 and for fuel economy-minded buyers there's a 200-hp 2.2-liter turbocharged inline-4 diesel. An 8-speed automatic and all-wheel drive are standard across the range. For more Geneva auto show coverage, head to our dedicated hub.